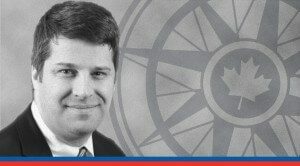 Sean Speer finds that most income inequality in Canada is confined to a few major centres – it's not the widespread problem many claim. New research is helping us to better understand some of the deeper issues behind current debates about income inequality and social mobility. The result should be a renewed focus on expanding economic opportunity and dynamism across the country. Concerns about income inequality have climbed to near the top of the political agenda in many developed countries including Canada. Justin Trudeau’s election was driven in part by his message of rising inequality and the attendant need to raise taxes on high-income earners. More than twenty months later, it continues to be an overarching theme for the PM and his government. Concerns about income inequality have climbed to near the top of the political agenda in many developed countries including Canada. It shouldn’t come as a big surprise. This finding is consistent with similar research in the United States. The truth is that income inequality is mostly an urban phenomenon. And it’s wrong to assume that this urban-based inequality can necessarily be divorced from a city’s dynamism, as an economist at the left-leaning Brookings Institution has observed. The presence of corporate headquarters and high-growth sectors such as tech and finance are inextricably tied to these cities’ relative wealth and inequality. It’s essentially two sides of the same coin. Are we witnessing less social mobility in our cities? Not so far. New research by leading economist Miles Corak finds that Calgary, Toronto, and Vancouver are in fact home to among the country’s highest levels of intergenerational mobility. These cities have rightly been called “mobility springboards” as a result. Of course, it doesn’t mean that we should take it for granted. Sustaining and strengthening the conditions for social mobility in our major cities requires ongoing political commitment and the right mix of public policies. More targeted support for families, greater educational choice, reforms to occupational licensing, and liberalized zoning policies would be a good step in this regard. But we must also focus on expanding economic opportunity and dynamism in rural and less prosperous areas. Not everyone can simply relocate to major urban centres after all. And many in these communities would invariably accept higher levels of inequality in exchange for more investment and jobs. Sustaining and strengthening the conditions for social mobility in our major cities requires ongoing political commitment and the right mix of public policies. Experimenting with economic development policies such as tax-preferenced enterprise zones may be part of a policy response. Removing regulatory and policy obstacles to resource development, which is a major source of employment for rural Canadians, is surely another. The debate about income inequality can be fraught with ideological assumptions and predilections. But the real story is complicated. New evidence points to a better path focused on opportunity and dynamism for all Canadians, wherever they live.